Quang Binh, Mar 20th, 2018 – Toyota Daihatsu Engineering & Manufacturing (TDEM) – Toyota’s regional Headquarters for Asia Pacific based in Thailand and Toyota Motor Vietnam (TMV) organized a ceremony to hand over a Toyota Hilux to Viet Nature Conservation Centre (Viet Nature) – a member of the BirdLife International partnership in Vietnam. The event was well attended by Viet Nature’s local partners and the media. Toyota’s “Car donation project” to conservation organizations for IUCN Red List species monitoring began in the fiscal year 2016 and are giving four cars a year over five years, and is part of the Toyota Motor Corporation to archieve its targets set out in Toyota Environmental Challenge 2050. Showing appreciation to Toyota’s support for nature conservation in Vietnam, Mr. 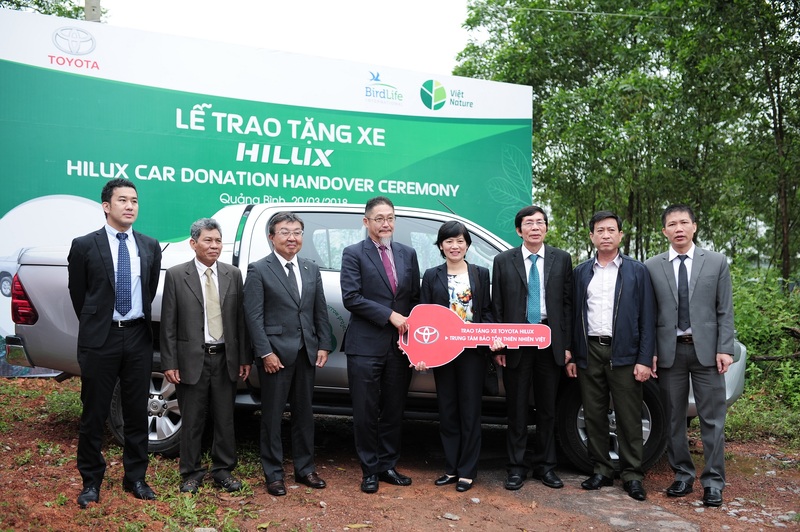 Le Trong Trai, Director of Viet Nature said: “This 4WD Toyota Hilux donated to us by Toyota Motor Corporation helps us reach further, discover more wildlife and monitor the status of globally threatened species listed in IUCN Red List and Vietnam’s Red Data Book. Thank you, Toyota, for joining us to protect our planet, to maintain our natural heritages for future generations”. 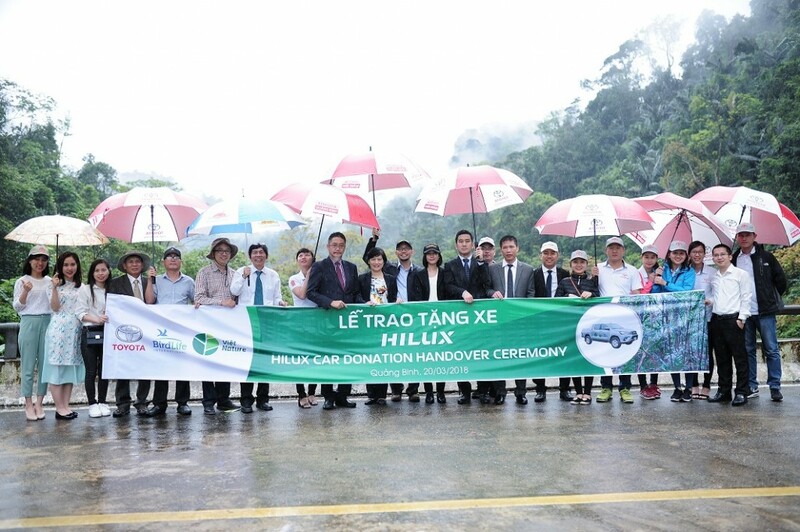 The car will be used throughout Vietnam, but mainly in Quang Binh province, where since 2014 Viet Nature has been implementing a long-term project (with 30-year vision) aiming at biodiveristy protection and ecosystem services enhancement in the Truong Son Key Biodiversity Area landscape, including the ultimate gazettement of Khe Nuoc Trong Nature Reserve – the home of over 40 globally threatened species in IUCN Red List. Species highlights at Khe Nuoc Trong forest include the Critically Endangered Large Antlered Muntjac, Saola, Sunda Pangolin and Bourret’s Box Turtle. ← Dong Chau-Khe Nuoc Trong forest – one of the last havens for the Large-antlered Muntjac Muntiacus vuquangensis?